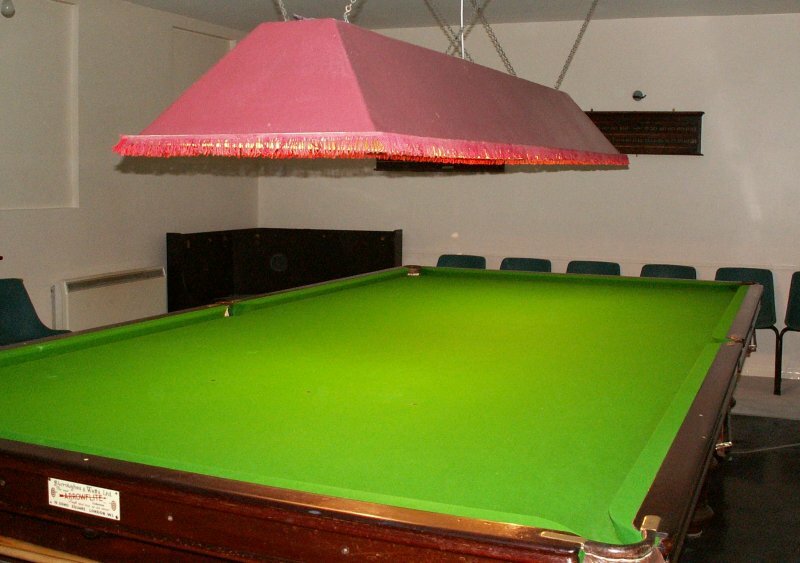 The Snooker table s available for hire to anyone, at just £2 per hour. The hire period will be exclusive to the hirer and playing partners. There is no requirement to join a snooker club but advance booking and completion of a hiring agreement (once per annum for regular hirers) is required. Cues, Balls and use of lights are inclusive in the hire charge. The snooker room will be available to hire from 9.30am to 10pm daily. See below for details of hire charges and appropriate booking secretary. The hirer MUST be over 18 and must be in attendance during the booked session. Other players may be under 18, provided they are tall enough to use the full size table and cues safely. Individuals, Families, organised and supervised youth groups are all welcome to use the table. It is an excellent sporting facilitiy for the community and the Hall Committee want to see it used as much as possible. So whether you are a regular, lapsed, occasional player or a complete beginner, you are welcome to hire the snooker room. We have a helpful, experienced player who has offered to coach and advise on playing, use and care of equipment etc. 1: The hirer MUST be 18 years of age or over and MUST remain in the Snooker Room during the hire period, (especially if persons under 18 are present). 2: A completed Hire Agreement form must be completed in advance. 3: A session is the hire period, A.M., P.M., evening or up to 4 hours. 4: The hire period must be between 9.30am and 10pm. 5: Keys MUST be returned no later than 30 minutes after agreed hire period ends, or before 10.30pm or deposit is automatically forefeited. 6: Smoking is NOT permitted in the Snooker Room.